John has 25 years of experience in the wine industry, having held senior management positions at Heublein Wines, E. & J. Gallo, Domaine Chandon and Trinchero Family Estates as well as consulting for a number of super/ultra-premium wineries. Most recently John was President of Pepper Tree, Briar Ridge and Tallavera Grove wineries in Australia. John's career emphasis has been in marketing, sales and strategic planning, with an emphasis on brand and company turn-arounds, repositioning and re-staging. John has over 15 years of experience in winery direct sales management, strategy development and techniques. 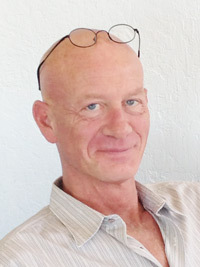 John began his career in packaged goods food and was a co-founder of Breakthrough Software and Joe Boxer (underwear). John holds a Bachelor of Arts degree from University of the Pacific, an MBA from Northwestern University and he attended the advanced management program at INSEAD in Avon, France.